Our company is well known in the market for the manufacture and the supply of a wide range of products such as the Walk-in Coolers which have a very sturdy make and they have been designed using the best technology available in the market and they have been priced at very reasonable rates in the market. Sponsored by rich industry experience, we are exhibiting a mixture of Cold Storage Systems for the supporters. All our sensibly valued items are perfect for solidifying perishable things. 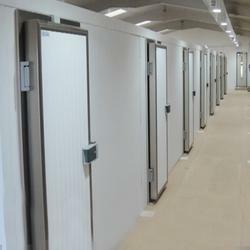 The cold storage rooms offered by us are planned by our specialists utilizing ultra-present day offices. 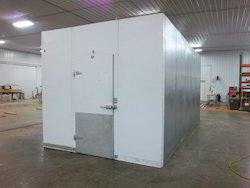 These cold storage rooms have controlled temperature that is needed for fitting putting away of foods grown from the ground them from getting spoiled or ruined. Additionally, we redo these according to the particulars itemized by customers. 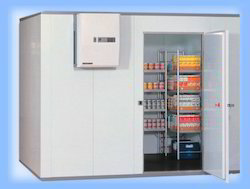 Mini Cold Rooms offered can be made available in different finish configurations so as to provide for perfect matching support as demanded by the customers. These find use in areas like food process factory, pharmaceutical factory, fruit and vegetable warehouse, supermarket, blood bank and others. 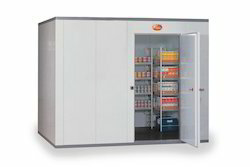 Our organization is counted amongst the most distinguished manufacturers and suppliers of a wide array of Cold Room Cabinets. The offered range is manufactured employing advanced technologies and high tech machines so that these are in compliance with international quality standards. These reasonably priced products are appropriate for the bulk storage of fruits and vegetables. Furthermore, we make sure that the products are timely delivered at clients' destination using easy shipment modes. Backed by rich industry experience, we are presenting a variety of PEB Cold Storage for the patrons. All are reasonably priced products are ideal for freezing perishable items. The cold rooms offered by us are designed by our experts using ultra-modern facilities. These cold rooms have controlled temperature that is required for proper storing of fruits and avoid them from getting rotten or spoiled. Moreover, we customize these as per the specifications detailed by clients. Backed by rich industry experience, we are presenting a variety of Bulk Cold Storage for the patrons. All are reasonably priced products are ideal for freezing perishable items. The cold rooms offered by us are designed by our experts using ultra-modern facilities. Pack House Pre Cooler is a place where perishable agricultural commodities like fruits and vegetables are collected and grading, sorting, cleaning, packing and pre-cooling activities are performed so that the product reaches to consumers safely with least deterioration of the farm produce. Sponsored by rich industry experience, we offer Cold Storage Projects for the supporters. All our sensibly valued items are perfect for solidifying perishable things. The cold storage rooms offered by us are planned by our specialists utilizing ultra-present day offices. 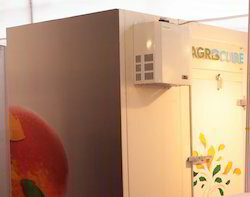 These cold storage rooms have controlled temperature that is needed for fitting putting away of foods grown from the ground them from getting spoiled or ruined. Additionally, we redo these according to the particulars itemized by customers. Backed by a team of skilled professionals, we are offering Cold Storage Installation Service. We have several user-friendly systems for post-harvesting management, our professionals carried out this service in an effective manner. We work on all type of atmosphere for long-time preservation of fruits. A pre-project consultancy consists of site lay outing, technical consultation, basic data sheet preparation& many more. 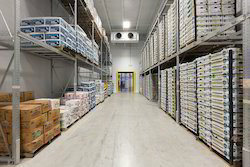 Looking for Cold Storage Systems ?